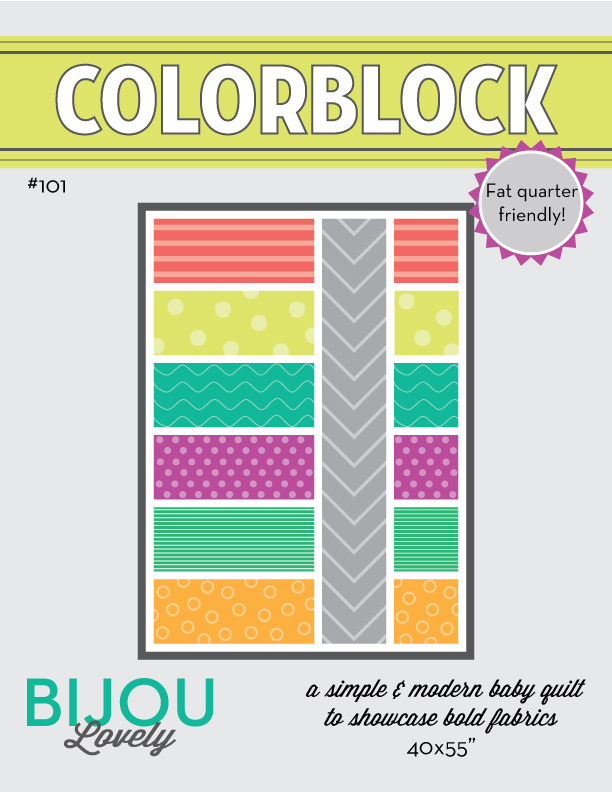 Bijou Lovely: Giveaway from Fat Quarter Shop: Leah Duncan Tule. 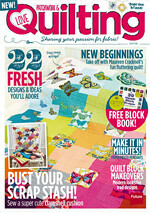 243 Giveaway from Fat Quarter Shop: Leah Duncan Tule. Happy Friday! 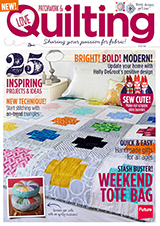 This weekend is Quilt Market, and while I'm not in Houston (and pretty sad about it), I can't wait to see all of the new collections being released there. One of my lovely sponsors, Fat Quarter Shop, is keeping us up to date on all that's happening at market on their blog, facebook, Instagram, and Twitter, so be sure to check it out! Today Fat Quarter Shop is giving away some of my favorite fabric here on my blog too! I've been working on a project with Leah Duncan's Tule the past few days, so why not give some of it away to one of you to work with as well? You'll have the chance to win a FQ bundle of Tule in either the Nevada Sun or Arizona Sky colorway, your choice! To enter, simply leave a comment on this post. Tell me your favorite fabric designer, your favorite fabric collection ever, or whatever else you feel like sharing. Please make sure to your email address so I can contact you! I'll pick a winner on Monday (10/28). This giveaway is now closed. Congrats to the winner, Stephanie! I really like 3 Sisters.. Thank you these are gorgeous! I'm not sure I have an absolute favorite designer, my tastes vary widely. Carnaby Street fabric line is one of my favorites right now. Impossible to choose one designer - so many talented people out there! Love Piper from dear Stella, Tsuru from Rashida, love V& Co.... Thanks for the chance. That's a hard choice. Some of my favorite designers are Minick & Simpson, Bonnie & Camille and Kate Spain. I don't have a favorite collection but my favorite piece of fabric is Hollywood by Alexander Henry from 2006. I bought 5 yards of it and still have 3 left. Love it! Thank you for the opportunity! I don't have a favorite designer, per se, but Tula Pink fabrics end up in a lot of my projects. My favorites aside, the Nevada Sun colorway of this looks like the perfect fabric to make a favorite quilt for my little sister! I am love with V and Co's new collection Color Me Happy, that is debuting at Quilt Market! Thanks for this great giveaway! I am in love with Michael Miller Krystal, and my fav designer is Robyn Pandolph. There are so many wonderful designers out there. I like Bonnie and Camille, Kate Spain and Denyse Schmidt. I've been so inspired by Tula Pink's lines lately, but my favorite line is and will always be Heather Ross's Mendocino. Oh why didn't I buy a fat quarter bundle when it was everywhere? Tule is a lovely line, thanks for the giveaway! I really love Heather Bailey, but there are SO many other designer's out there that I truly love, too. Thanks so much for the chance to win! Hard to choose just one designer. I love Amy Butler, Denyse Schmidt and Heather Ross! Love the orange in this collection! Thanks for a chance to win. 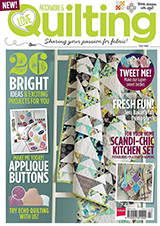 Juggling Summer by Zen Chic is my all time favourite collection but there is so much gorgeous fabric these days! I really like Bonnie and Camille. I have quite a few favourites which include Liberty, Aneela Hoey, and Kaffe Fassett. Thanks for a great giveaway. There's lots to love but my personal favorite designer is Carolyn Friedlander. She's a genius! I love so many different fabrics,and designers Kate Spain, Bonnie & Camille..these are beauiful also, I can't decide which bundle I like better! Thanks for the chance! Right now my favourite designer is Joel Dewberry! I really love most modern designers. They all have a unique style, a bit for everyone. For now I would pick Zen Chic for her wonderful fabric and Denyse Schmidt for her modern classic designs. I lean toward the more modern designers. They use bright, happy colors. I love the Nevada Sun bundle! I love so many different designers. A few of my favorites are Bonnie and Camille, Kate Spain, Tula Pink, Alexander Henry, Amy Butler. Too many to list! I love Pat Bravo, Valori Wells, and Joel Dewberry. I love so many different styles of fabric, but at the moment I'm most excited about Lizzy House's Catnap! I'm so looking forward to it's release! I loved Lizzy House's constellations and I'm sad I didn't stash more of it. I love Sweetwater. Lotta Jansdotter, and so many more! So many great designers! I do love Bonnie & Camille though. And love that I am always drawn to random Alwxander Henry prints without even knowing the designer. All time fave collection is happy go lucky! Love your page! I like a lot of designers, like Pat Bravo, Sweetwater, Bonnie & Camille, and Zen Chic, to name a few. Thanks for the giveaway. Overall my favorite designer is Pat Bravo, if I look back over the last couple of years of gorgeous fabrics. Thank you for the giveaway! My favorite designer are Bonnie & Camille, I love all of her collections! I don't really have a favourite, in fact I've bought fabric not realising it was by a designer I'd used before! Thanks for the give away! To be honest, I love so much fabric but really don't know the names. I love whimsical prints and a good polka dot! I love Leah's new line! I love me some Tula Pink! :) AMH too! I still love Katie Jump Rope. I'm looking forward to seeing some of the new collections like Charlie Harper and Dreamin Vintage. leah duncan is a favorite, but i have my eye on elouise renouf and julia rothman as well! thanks for a chance on some tule!! Since my favorite line ever is Rouenneries I guess that makes French General my favorite designer. I really like Lotta Jansdotter, Allison Glass, and AMH and soooo many more! I think Pat Bravo is one of my all time faves tho! Thanks for the chance to win!!! Gah! - I love Tule! 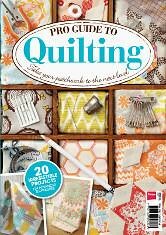 I'm too new to quilting to have a favorite designer yet but I definitely love this collection, especially the Arizona Sky colorway! oh, I think I'd pick the Arizona Sky if I were lucky! I love lots of designers, but I still think Hope Valley blows me away. Thanks! I love Bonnie and Camille, but have been dying to get my hands on some Tule, so I hope I win!! Thanks! I think my favourite designer is 3 Sisters from Moda and Paris Flea Market is probably my favourite collection. I love AMH - field study. Thanks! This line is one of my favorites right now! I was so excited to see it as your giveaway!! That fabric is gorgeous!! Love the color combo. I also have a serious crush on the Happy Go Lucky line. 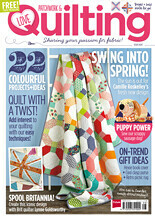 As a quilter something about that line just screams patchwork goodness to me. I am a lover of all fabrics but I have noticed a trend in the design of the quilts that I make for others, features a lot of Robert Kaufman and Michael Miller. I don't have a favorite designer as I think they all have great talent. Thanks for the great giveaway. Those are super bright and cheerful bundles! 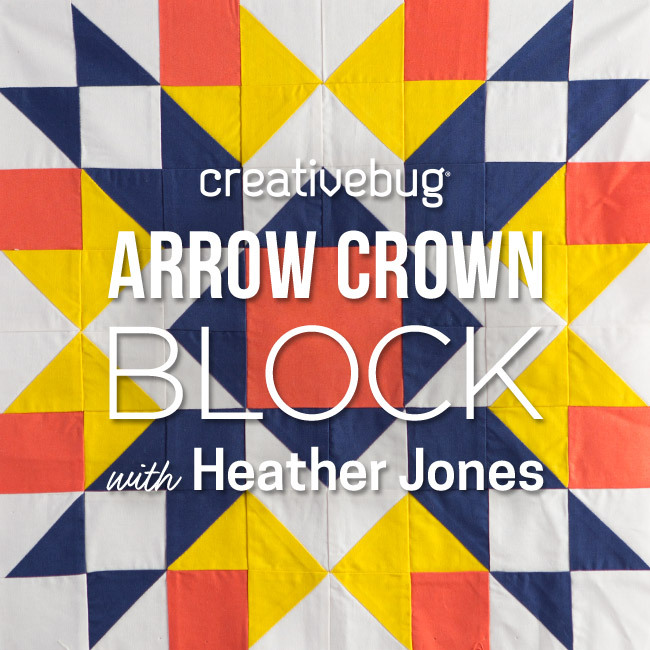 I've been drooling over a Spoonflower designer...Holli Zollinger! Everything she designs I want! Tula Pink is my favorit now, but I love everything Batik. Nevada Sun would be my choice. Don't have a favorite designer. Denyse Schmidt is my favorite, because her designs are so versatile. I pretty much love most fabric though :D. Thanks for the chance to win! I really liked Robert Kaufman's "Valley of the Kings" that was out a couple of years ago. There are so many wonderful collections out these days. I'd like the Nevada Sky if I win. I love the French General's fabrics! Josephine is one of my favorites! thank you! Thanks so much for the great giveaway! I really am crushing on Dear Stella lately! My most favorite collection is City Weekend - still haven't untied my bundle. I love tule and bluebird park. I wish I could add both to my collection! I love Alexander Henry and Tula Pink. Such fun designs from them both. Micheal Miller also has interesting designs. My favorite designers are probably Anna Maria Horner and/or Liberty of London...tough choice! I absolutely loved Anna Maria Horner's latest Field Study line - can't wait to see what else she comes up with soon. HELLO, LIKE "THREE SISTERS" COLLECTIONS! I'M WORKING ON A BLUE+WHITE LOG CABIN CHARITY BABY QUILT THIS WEEK>NEED TO THINK 'RED+GREEN' NEXT! HAPPY STITCHING! What an exciting giveaway! Vanessa Christensen has pretty designs! I really love anything by Sarah Jane or Heather Ross. Thank you so much for the chance to win! more and more i love working with solids...im so thrilled with all the chambrays, crossweaves and shot cottons that are new on the market! thanks for a chance, such a lovely line. Gorgeousness galore! I love Joel Dewberry fabrics usually and Kona solids are always used :) wonderful giveaway - wow!! So many wonderful designers and fresh designs. Love anything with crisp, bright colors. I love Bonnie & Camille, Kate Spain, Denyse Schmidt and October Afternoon among others lol! Thanks! My fave fabric designer is Denyse Schmidt since I just finished a quilt top using Florence and bits from her various other fabric lines. I also love Leah Duncan's style - I discovered her Etsy shop a couple years ago and was thrilled when I saw her fabrics debut. It would be thrilling to win a stack! Let's just say I have a varied taste and can't seem to stick to one designer and/or one fabric line. I love them all! I jump all over the place but this Tule collection is one of the prettiest I've seen in a long time and I've been envying it for ages, would love to win! I wish I had only ONE favourite, then my fabric cupboard wouldn't be so jam packed! Thanks for the chance to win this beautiful bundle which would look great in my cupboard...just sayin'! I'm a huge Bonnie & Camille fan! That is such a hard choice as there are so many I admire it changes and grows, but right now I would have to say I my favorite would have to be Zen Chic. Heather Ross is my all time favorite artist but it's so hard to choose only one collection! I'm still pretty new to the fabric world, so I haven't discovered my favorite, yet. Thanks for the great giveaway! I have a weakness for anything polka dot and recently have begun to covet Ikat. Fun giveaway! Right now I'm in a Dennyse Schmidt rut, but I really do love all of Tula Pink's collections. I like Lotta Jansdotter fabrics plus many others as so many great fabric designers. I LOVE Heather Ross a lot!!! Everything she does it's just wonderful!!! I also really like the fabric line Glimma and of course I can't get enough of Flea Market Fancy!!! Thank you so much for the chance....FINGERS CROSSED!!! I don't have a favorite, or maybe I should say my favorite is the one I am looking at right now! :) I love them all! These are beautiful! Thanks for the opportunity! Favorite? - All of them! i'm not sure i have an absolutely favorite, but if i look at what i use most it's lizzy house's pearl bracelets (who doesn't, though?) and, most recently, carolyn friedlander's architextures (so excited to get my hands on botanics!). Finishing up two quilts this weekend, one with Dear Stella fabrics and the other Malka Dubrawski. I'm partial to Zen Chic too. I love this line! Thanks. :) My fav is Anna Maria Horner with Denyse Schmidt a close second. Fave collection: Mendocino. I still have some and use it sparingly! I've seen two lines designed by Kate and Birdie so far, and both of them seem like homeruns. Thanks for the giveaway; it would be hard to pick a colorway because they are both so nice. 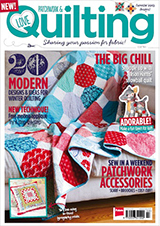 I would just like to share that I've come to appreciate more and more the modern style of quilting. I'm relatively new to quilting and really didn't like the modern look. But the more I see of it, and how wide and varied it becomes depending on who's creating, the more I like it! There are SO MANY amazing designers and fabric collections out there, it's hard to pick a favorite. I just made a quilt with Indie by Pat Bravo and I love how it came out...so right now, she's my favorite. Thanks for the giveaway. Huge fan of Tula Pink. The frogs from Prince Charming and the octopi from Salt Water still kill me. I have bought a whole collection from a few designers - Denyse Schmidt, American Jane, Lori Holt. Thanks for a chance to win! Love this collection. I'm also a big fan of Heather Ross and Lotta Jansdotter. My favorite designer and fabric collection change every time I enter a new quilt shop! Thanks for the giveaway! It have always loved everything by Kaffe Fassett. He is a genius at creating beautiful designs and quilt patterns. I like anything by Amy Butler and Kaffe Fassett. Thanks for the fun giveaway, and I hope you get to go to Quilt Market in the future! WoW I wouldn't be able to pick a favorite. I love it all! Thanks for the giveaway! my favourite designer at the moment is Anna Maria Horner, but I also love Kate Spain, Leah Duncan and Lotta Jansdotter. My favorite fabrics are batiks. Just love the mottled colors-they look so pretty in a quilt. I got into quilting in the past year. I am making 3 different king size quilts, table runners and mug rugs for holiday gifts this year. I don't really have a favorite designer but Bijou Lovely certainly lives up to the name! I'm really tired tonight but tomorrow I really want to get sewing on my Riley Blake challenge. I'm usually so undecided about what to do but this time I just knew. It might be a new record. So hard to choose a favorite when there are so many inspiring designers! I already have some Tule, so Leah Duncan is right up there, but over the years I guess I have a lot of Denyse Schmidt fabric that I've used and hoarded. I am a Tula fan, adore Melody Miller, and love everything Sweetwater does. Thx for the chance. Oh my goodness!! I've been debating back and forth about buying this very bundle for my birthday, or maybe asking for it for Christmas. So lovely!! I love anything by Bonnie and Camille. I also love most Michael Miller, especially the ta dots, dumb dots, anything polka dots! Leah Duncan, Denyse Schmidt and Lotta Jansdotter. Which all go really, really well together, too! Thanks for the chance to win! This is lovely fabric. Thanks for the chance to win some! I have always loved Denyse Schmidt and I really like the quirkiness of Tina Givens and Jay McCaroll. so beautiful, i really want to get my hands on this! leah duncan is actually one of my favorites, as is rashida coleman-hale. thanks for the giveaway!! I like the Tula range of fabrics. So hard to choose. Amy Butler's Belle was one of my all-time favorites. And I never met a Pat Bravo fabric I didn't love. My favorite collection is road 15 . I bought 3 mini charm packs without realizing it! Carolyn Friedlander. Love her Architextures and cannot wait to get my hands on some Botanics! I really like Kate and Birdie prints at the moment, but ask me again after we've seen all the new lines that debut this weekend, and I'll answer differently! i'm making a scrappy heather ross quilt right now & when that is done, i'd like to work on a chicopee quilt. all the prints in that collection are amazing. I really love Anna Maria Horner's designs - thanks for the chance to win! I don't really have a favorite designer, I love too many! Carolyn Friedlander's Architextures pops up in nearly all my quilt from this year though, and I can't wait for Botanics to come out! I have been loving this wonderful fabric collection from afar. I am trying to not buy more fabric right now. Favorite fabric line ever? Sweetwater's Sunkissed. I wish they would reprint it. I am almost out of scraps even. Thanks for the wonderful giveaway! It's hard to pick a favorite designer, but I'd go with Denyse Schmidt and Bonnie & Camille. My favorite fabric line is Annie's Farm Stand. I don't have a favorite designer. I love to mix lines together and my likes are varied, I think that adds interest to a quilt by mixing it up. Thanks for a chance to win. I don't think I could pick just one designer! My favorite collections right now are Florence by Denyse Schmidt and Zen Chic's Barcelona because those are the two I just bought! Thanks for the chance. My favorite designer has to currently be Carolyn Friedlander, without a doubt! But it's subject to change often with all the great fabrics and designers out there right now! We live in a wonderful time for textiles! I think these are looking so fresh and clean...love them. There are too many amazing designers to choose from: Sweetwater, Zen Chic, Lotta Jansdotter ... My mind changes on the matter approximately weekly. Kate Spain is my favorite. I love every single thing she puts out. A close second is Cosmo Cricket. Thanks for the giveaway! If I had to choose just one ... Kaffe Fassett is my favorite designer. I've used his spring 2012 new colourways line in so many patterns. It combines easily with other designer's fabrics too. I love AMH and Violet Craft! But I've been very tempted by Tule lately too! I'm crazy about "Comma". Thanks for the giveaway. I love just about every collection from Bonnie and Camille, but find my tastes change all the time and each week I find myself adding fabric I can't live without! I think Architextures is my favorite collection. I have used up almost all the prints I purchased and I find a way to use them in everything. Great modern stash builders. I don't really have a favorite designer or fabric line. I just like almost anything that is bright and colorful. Can't say I have one favorite; depends on what I'm making. I do like Bonnie & Camille, Basic Grey, and Heather Mulder Peterson (Anka's Treasures). Too hard to pick a favorite... everyone is so talented! Hard to choose just only one designer...Bonnie & Camille,Zen Chic,Pam buda..Thanks for the chance!! 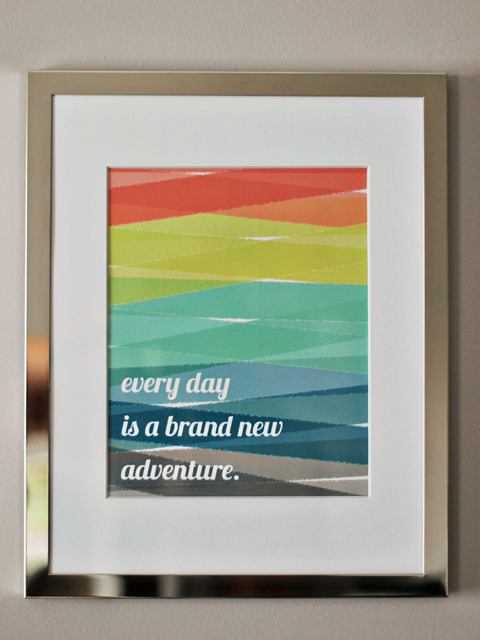 I tend to gravitate toward Amy Butler's designs. They usually have the colors that I want and give my quilts intricate designs on the easiest of patterns. I have lots of "favorites" including V&co, zen chic, Pat Bravo and Kate Spain. Too many fabulous women designing fabric!! I don't have a favorite designer but I have a favorite fabric company and that's Art Gallery Fabrics, I love the feel of their fabric. Not sure that i really have a fabric designer, line, or manufacturer. But bright and happy always comes home with me -- and yellow finds its way into everything I own! I love so many, but I would have to say French General. There are so many wonderful, talented designers out there. I do love Tula Pink's fabrics. The details in her Racoons, Octopuses and Frogs are fantastic. Great give away! I can't help it, I still love seeing projects made with the original Flea Market Fancy line. There are so many talented designers that It is difficult to choose just one. Right now I have a huge crush on Koi! I love anything Amy Butler creates. Currently, I adore Robert Kaufman designs – I made a baby blanket for my little baby boy in May out of their zoology series. It shows vibrantly coloured animals and we still use it to snuggle him up. It always looked great on pictures, too. It is lively, yet not too boyish - simple and playful, I like that in a kids-style fabric. Since I live in Arizona, I really like the Arizona Sky colorway. Like them anyway even if I didn't live in AZ. I like Aneela Hoey, she is fantastic. Thank you for sharing. I feel like I go through phases. Though I always love everything that AMH does - she's amazing. Thanks for such a great opportunity to win this line - I've been watching it and definitely need to get some. Oh dear, picking a favorite designer is like picking your favorite child... not sure if that is possible! ahahhaha I can say how much I really enjoy Pat Bravo, Kaffe, Sweetwater, Violet Craft, etc etc etc.. Thank you so much for the opportnity at such a wonderful bundle. Lately I've been in a Lizzy House phase! I've loved every collection that Lotta Jansdotter has produced, but this line is my fav!! I love a variety of designers including Tula Pink, Darlene Zimmerman, Riley Blake and Springwater, just to name a few! Thanks for the chance to win! I don't think I have one favorite designer, but I love the animal prints Tula Pink comes up with! I love botanical prints, by any designer! With so many talented designers out there it's hard to pick just one. But I would have to say Alison Glass right now. I have been waiting patiently for this weeks release (patiently for me anyway) of Clover Sunshine so that I could order it and get busy with it! Alison's collections are so colorful, fun and happy. I also love her Feathers, Text and Collage lines because they blend and flow so well with other things. I still love all the older Heather Ross prints. Today my favorite is Tula Pink, but ask again tomorrow and it will be someone else. I don't have a favorite....too many! I'm a huge fan of color! I love Amy Butler, Three Sisters and Frances Newcomb, from Art Gallery. There's no way to possibly choose just one! 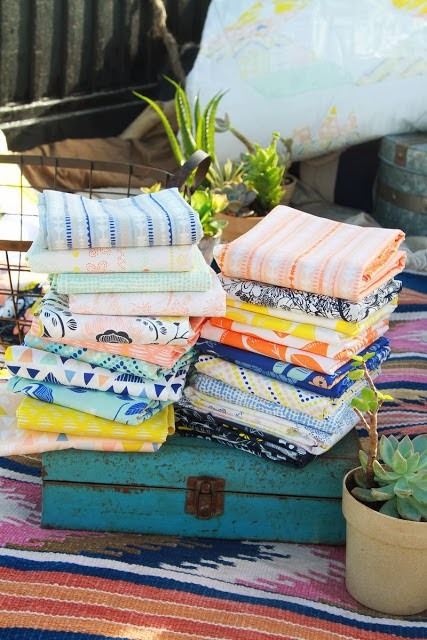 Love AMH and Carolyn Friedlander, but if i had to pick a favorite fabric line... Indian Summer hands down!... today anyway ;) Thanks for the chance to win!